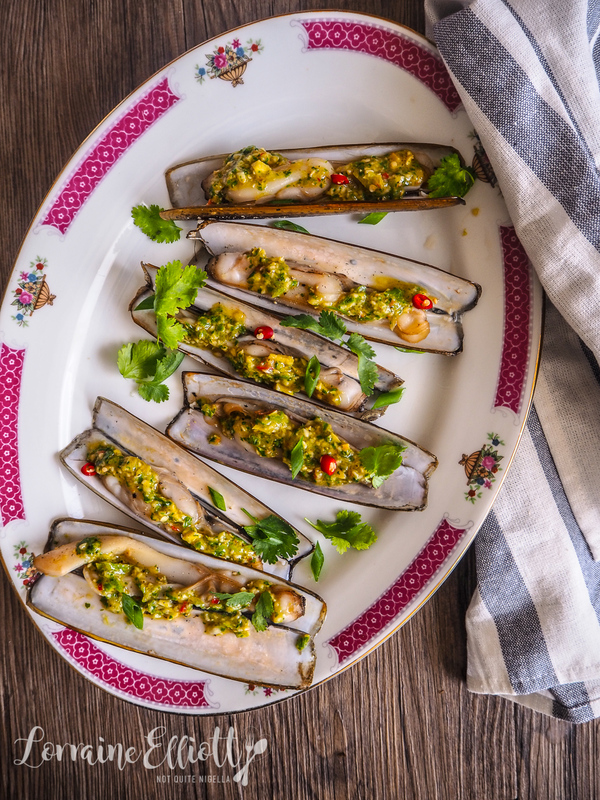 Looking Sharp: Razor Clams in 5 Minutes! 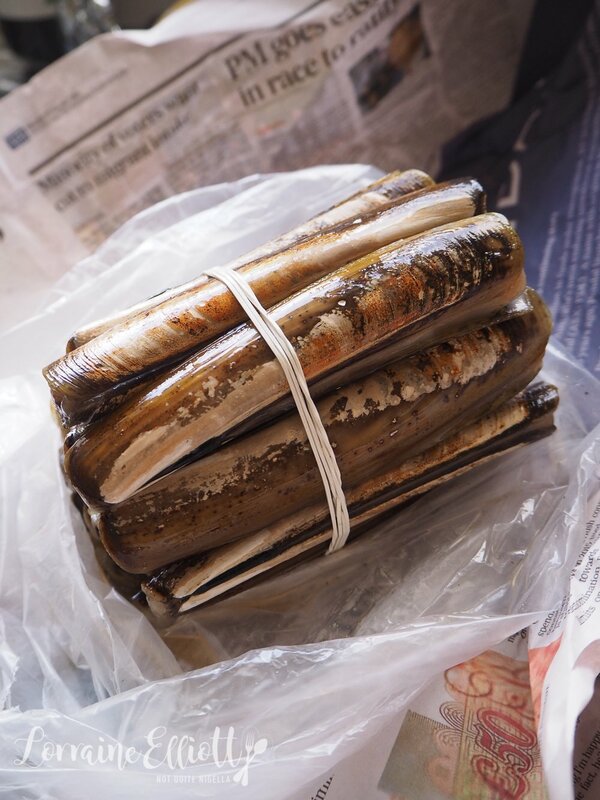 Food discoveries really excite me and I was delighted to see razor clams at the seafood market recently! 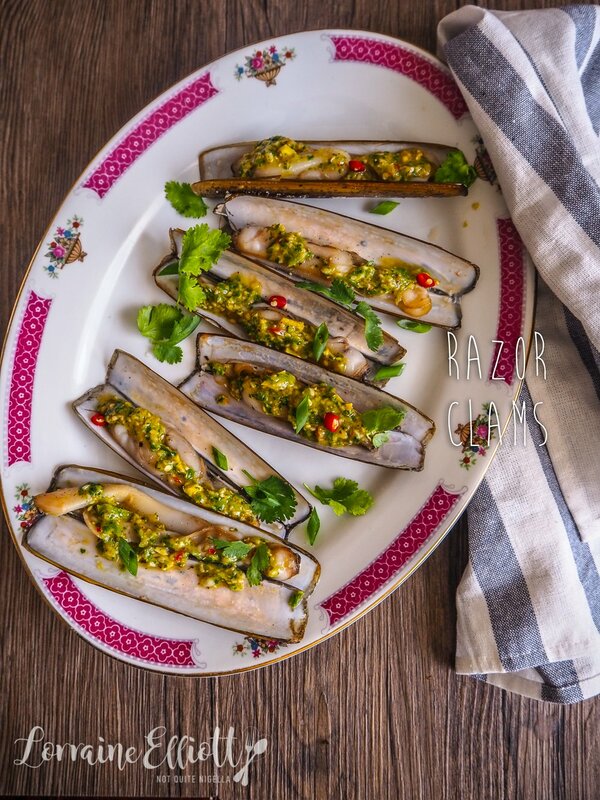 Having had these gorgeous clams overseas in London and South America I snatched them up and knew that I had to make a recipe that would befit how special and delicious these razor clams are! If you're curious to try razor clams, I found these at the Paddy's Markets seafood section and another Dear Reader said that she has seen them occasionally pop up at Harris Farm Drummoyne. And if you love seafood and clams then I really urge you to give these beauties a try. 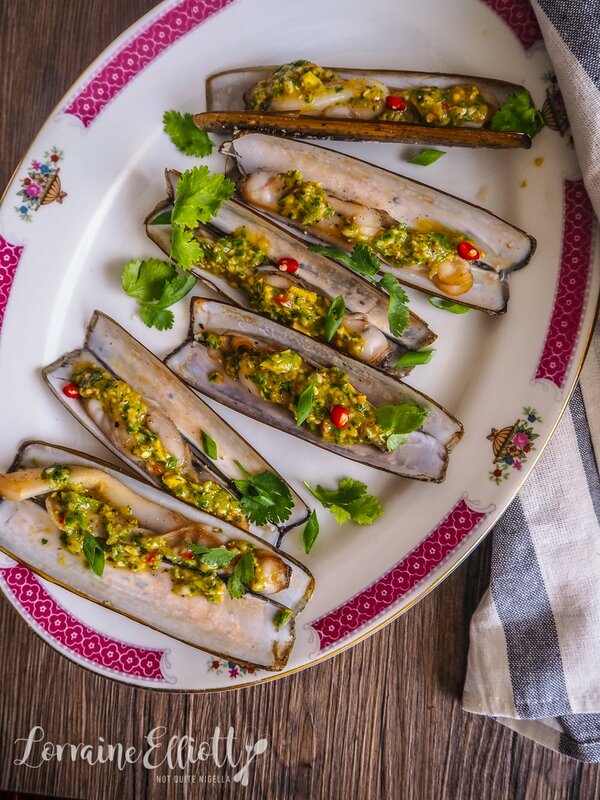 Razor clams are a bit of an obsession with chefs. In fact when I put them up on Instagram two chefs messaged me to ask where I had purchased them. They're unlike other clams. While clams can be a bit chewy these are amazingly soft and melt in the mouth and have a distinctly creamy texture. These came from Chile although you can apparently get these in WA and Victoria. They were also a steal at $13 a kilo so I bought the biggest bundle they had. As you can guess, razor clams are given the name because they resemble an old fashioned razor. The meat inside is juicy and plentiful and if you find the creamy yellow flesh protruding from the shell just tap the shell and it should go back in. These are also the original fast food to cook and they only take 3 minutes before they're cooked. Don't overcook these babies - although I do think you'd have to really overcook them to make them tough as they have such a soft texture. Recipe wise the best way to regard them is as a clam (duh!) or mussel so you can steam or roast these. I decided to go the way of least effort because it was a Sunday and I wanted to make my life easy. I grilled these and then served them with a sauce which is like the ginger and garlic sauce that you serve with Hainanese chicken rice. It was one of the simplest but most rewarding dishes that I've cooked. Seafood is always good for when you're low on time but this was ridiculously easy. 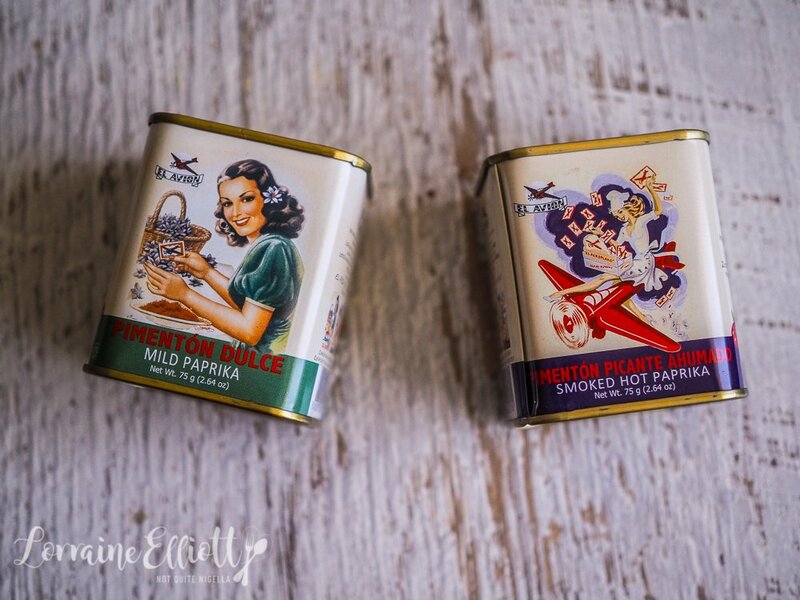 Apart from razor clams I also have some new things in my kitchen, the series hosted by the lovely Sherry from Sherry's Pickings who I actually met up with when I was in Brisbane. The first lot is a shopping haul from USA foods. I didn't realise that there was a store in Burwood but Ivy told me there was so I paid it a visit one day. 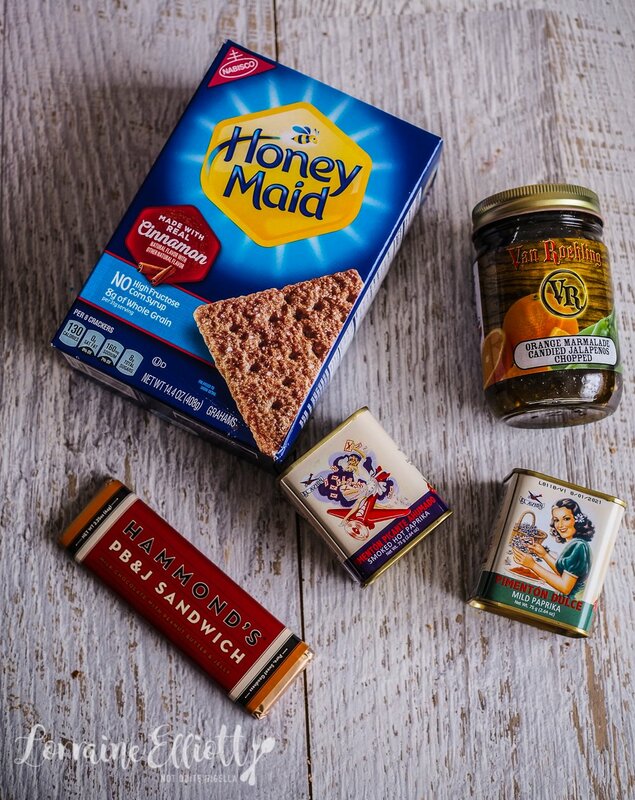 I got some cinnamon graham crackers that I wanted to use in my S'mores rocky road that were delicious as well as a couple of paprika tins that I liked because of the design. I didn't love the peanut butter and jelly chocolate bar-that was underwhelming and it didn't have enough peanut butter in it. And I haven't tried the marmalade with jalapenos (yet) but I'm saving that for a special occasion. The next haul is from my lovely friend Monica. She recently went to Mexico and brought back some Mexican candy. It is SO interesting-the mango pops have a coating of salted chilli but once you lick that off, the mango pop below tastes like sweet, true mango! 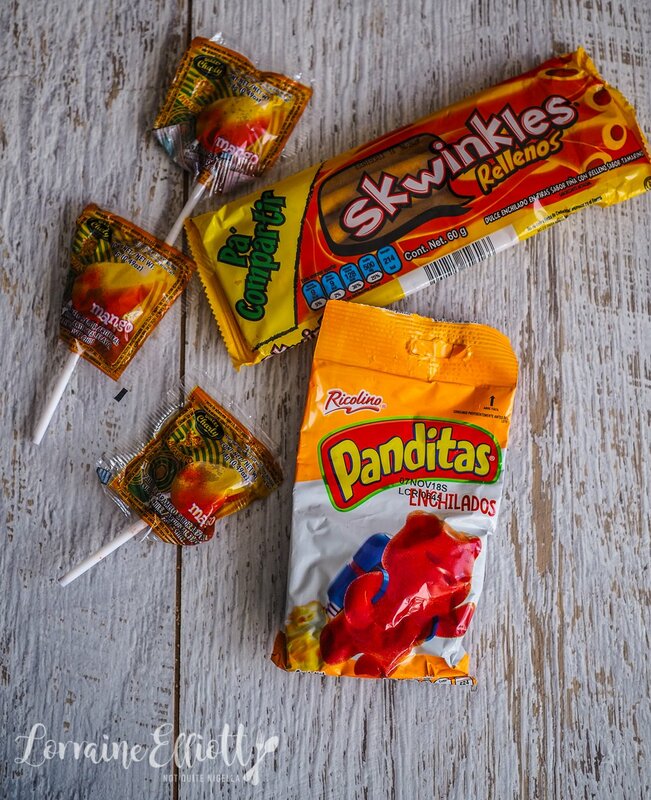 And the Skwinkles are like pineapple fruit leather rolled up and the Panditas Enchilados are like gummy bear shaped jubes with an amazing spicy kick right at the end. I'm now a BIG Mexican candy fan! The last things are from my trip to Melbourne last week. 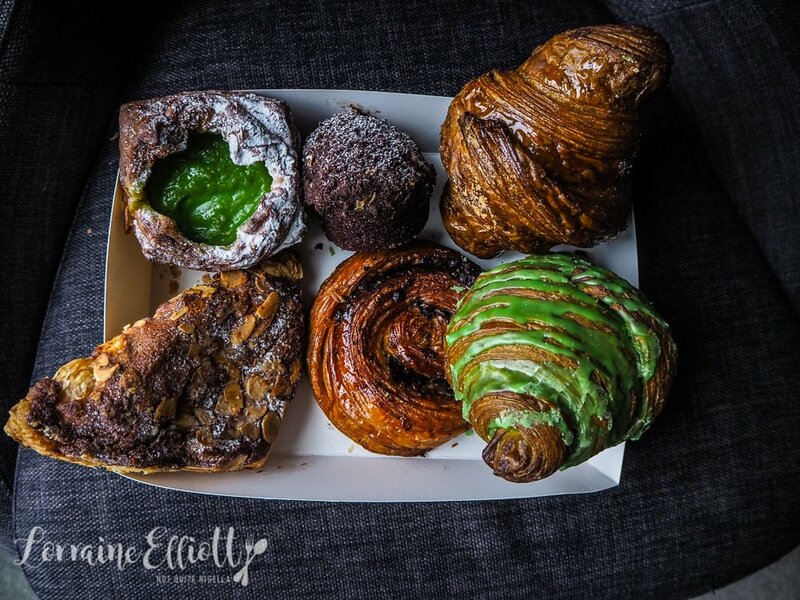 When I went to Lune Croissanterie a lot of people messaged me and told me that I should also try Agathe Patisserie for their croissants. It's very easy to persuade me to eat pastry so I set the alarm early before my flight and walked to the tiny hole-in-the-wall store. I'll do a full post about them but needless to say that that morning's workout was very much needed after sampling all of these buttery goodies! So tell me Dear Reader, have you tried razor clams? Do you ever buy something and just hope for the best when you cook it? And have you ever tried Mexican candy? 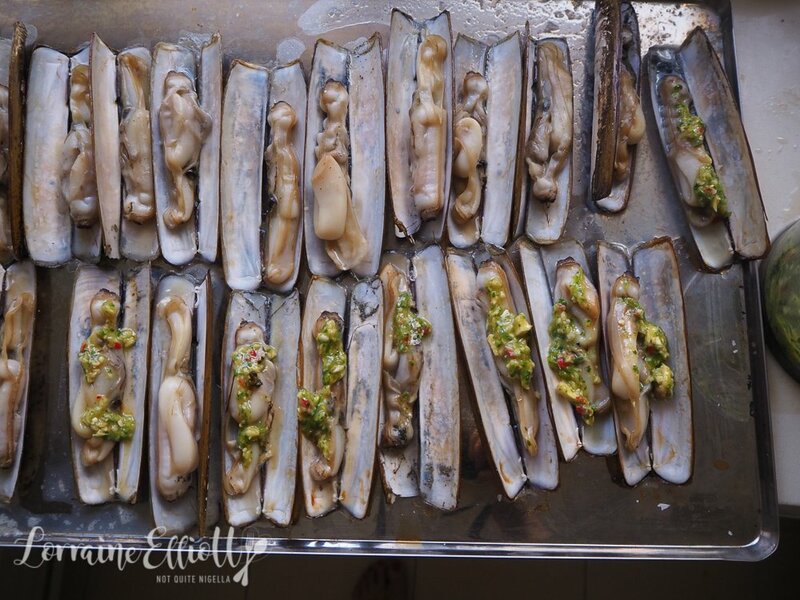 Step 1 - Preheat grill and place razor clams on a large baking tray. Grill for 3 minutes or until open and cooked through (don't overcook). 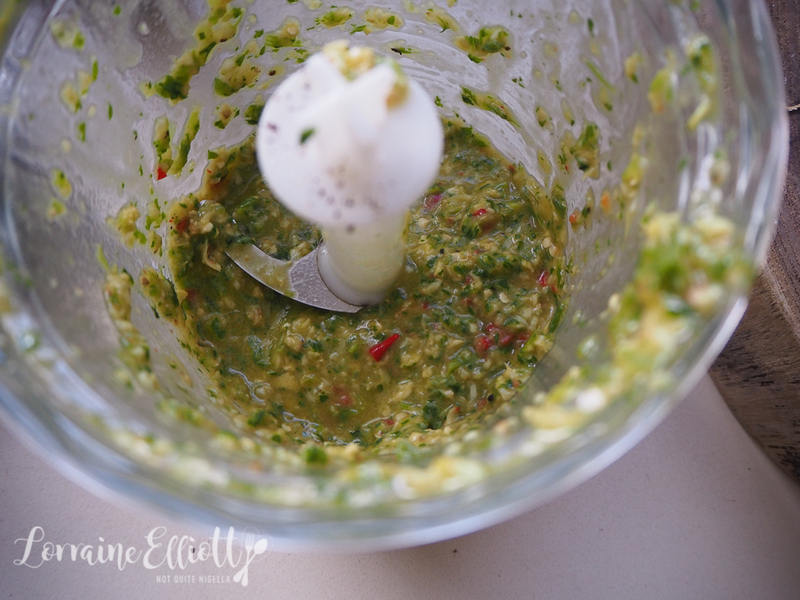 Step 2 - While it is cooking, place all of the other ingredients together (oil, garlic, ginger, coriander, chillies, onion, ponzu and lemon juice) in a food processor and process until you get a paste. Season with salt and pepper. Spoon some of this over the razor clams and serve.